Nestled away in the wilderness past the southwest end of T.J. Meenach Bridge, SFCC is the livelier (in greenery, at least) of the two local community colleges. With a lower average student age, the campus grounds seem a bit fresher and cooler than at its sister school, Spokane Community College. MYTH EXAMINED: “Students can’t get the ‘real’ college experience at SFCC.” When kids from around the Spokane area graduate high school, they want the four-year university experience. What they weren’t planning on was the price. Recently liberated 18-year-olds often come to SFCC thinking their dreams of living the college life just died. But that’s not the case. Once you start at the Falls, you’ll see that it’s actually not that bad. In fact, you might even realize it’s totally awesome. If you were looking forward to staying in a dorm, this school offers something better — apartments, fully equipped with a kitchen and bathroom. Purchase Bigfoot gear and show your pride at some sporting events. Meet new people and get involved in the newspaper and campus politics. Verdict: Busted. Play it right and the experience at SFCC will rival that of the bigger colleges, without the crushing tuition bills. Going to the Falls doesn’t guarantee that you’ll get a job — the success of your time in college is ultimately up to you. Talk with other students or alumni about which classes they found interesting, valuable and useful. Verdict: Plausible. Coming away with a useful education isn’t automatic. In the end, SFCC and the classes you take there are what you make of them. If you don’t choose your classes wisely, your SFCC investment could go to waste. Last year: In the spring of 2011 — a time that Spokane Community Falls will never forget — the Planetarium opened in Building 28. 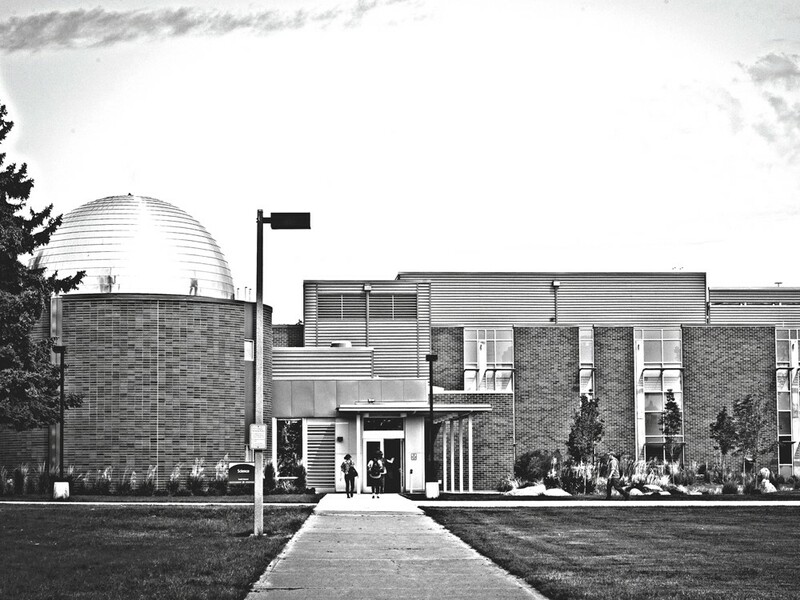 Offering both a state-of-the-art classroom for astronomy buffs and a learning center for people of all ages, the dome also houses one of the few planetariums in Washington and the only one in our region. Students from kindergarten to high school can view movies on the curved ceiling and learn about the wonders of the universe thanks to free SFCC field trips. Making Music Together: The Falls is known for its premiere audio engineering course. Talented students can learn the skills they need to record and produce quality tunes. The students you meet while taking this class could be your future collaborators. From making your first single to creating your debut album, to being on your first tour, SFCC gives you the opportunity to learn the ins and outs of the music industry.